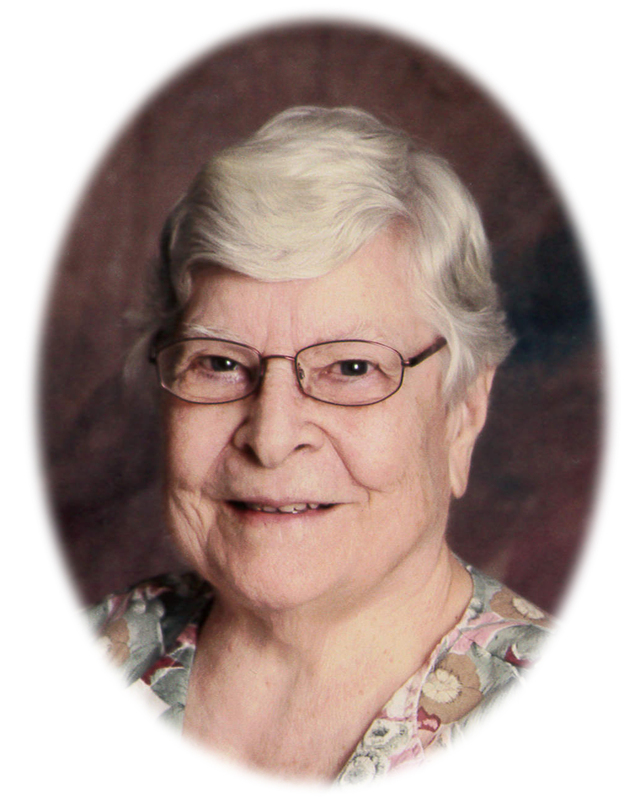 Dolores J. Nystrom, age 89, of Kimball, died Thursday, March 28, 2019 at Hilltop Care Center in Watkins. Mass of Christian Burial will be held 10:30 a.m. on Monday, April 1, 2019 at St. Anne Catholic Church, Kimball with Fr. James Statz as Celebrant. Burial will follow at St. Anne Catholic Cemetery. Visitation will be held from 2:00-5:00 p.m. on Sunday at the Dingmann Funeral Care Chapel, Kimball and one hour prior to the service at the church on Monday. A Time of Sharing will be held at 5:00 p.m. on Sunday at the funeral home. Dolores (Kunkel) Nystrom was born August 8, 1929 on a farm near Pearl Lake, Minnesota to Leo Killian and Katherine Ann (Resch) Kunkel. Dolores would often make it known that she “was the 9th of 12 children following twins”, which led to some humorous memories. As a young adult, Dolores enjoyed children and was able to fulfill this joy by nannying. She also helped on her parent’s farm and was the caretaker of many family pets. Being in a large family, she was a natural caretaker of others. After numerous moves during the Depression, her family eventually settled in Kimball where she completed high school and met the love of her life, Manley Nystrom. They were married on June 22, 1949 at The Church of Saint Anne in Kimball. They found themselves staying in Kimball, where Dolores followed in her family’s footsteps and eventually they were able to purchase property and start a farm. “The Farm,” as it continues to be referred to fondly, has remained in the Nystrom family. Dolores was always proud of hard work, and took pride in taking care of her family, garden, and home. She would spend summer days canning products from her garden and preserving the harvest for the winter. Her children remember the smells of her cooking, the sight of her latest quilting project, and her tireless work. She is the mother of 7 children – Betty Ann, Donald, Larry, Joan, Patty, Kristie, and Chuck. Her children gifted Dolores with 28 grandchildren, all of whom have a special place in her heart. Dolores always had room in her home for anyone. Dolores would have “ice cream time” each day after school for the grandkids, and some of the fondest memories were of times gathered together at Grandma Nystrom’s house after school. As her grandchildren grew (in size and number), they always knew where to find treats at Grandma’s house; she always had a box of cookies, a jar of mixed nuts, and other treats to share. Her family spent every Sunday morning together in her home for “coffee time” before or after church. This time is remembered by her children, grandchildren and great-grandchildren as a time for conversation, celebration, food, and puzzles. Dolores always had a jigsaw puzzle on her table for family to join in making. The only thing more important than family was her faith. Remaining a parishioner of St. Anne’s parish throughout her life, Dolores enjoyed gathering at the church with friends at Senior Dining. She will be missed by many, especially her family whom she held so close to her heart. Dolores is survived by her children, Betty Ann (Bruce Mancini) Nystrom, Joan (Jeff Johnson) Nystrom, Patty (Terry) Nelson, Kristie (Jim) Orn, and Chuck (Vickie Fosjord) Nystrom all of Kimball; daughter-in-law, Brenda (Greg) Mass of Kimball; 28 grandchildren and their spouses; 32 great-grandchildren; 6 great-great grandchildren; siblings: Sr. Francetta (Betty) Kunkel of Techney, IL, Bernard Kunkel of Mapleton, MN and Sr. Rita Kunkel of St. Joseph, MN; and many nieces, nephews, and other family members. She is proceeded in death by her husband Manley Nystrom, sons Donald Nystrom and Larry Nystrom, 8 of her siblings, and other dear family members. Jordan Mancini, Mitchell Nystrom, Jacob Nystrom, Aaron Schmidt, Ashley Nelson, Joshua Orn, Phillip Schenecker will serve as pallbearers. Stacy Mancini and Jarett Edwards will provide music for the service. Arrangements are entrusted to Dingmann Funeral Care Burial & Cremation Services of Kimball.